I’ve been working on a series of large-scale macro photographs of leaf skeletons. I want to continue the series, but I’m learning that good quality leaf skeletons are very tough to find! When I go out walking to look for dead leaves and other natural objects, I carry an old book to store the fragile items until I get them back to the studio. The pages protect them from breakage and flattens them, making them easier to photograph. I insert the stems of some things like curled grasses, which I don’t want to press flat. I usually add extra weight on top the book for a week or so, to make sure the leaves are thoroughly flattened and pressed. 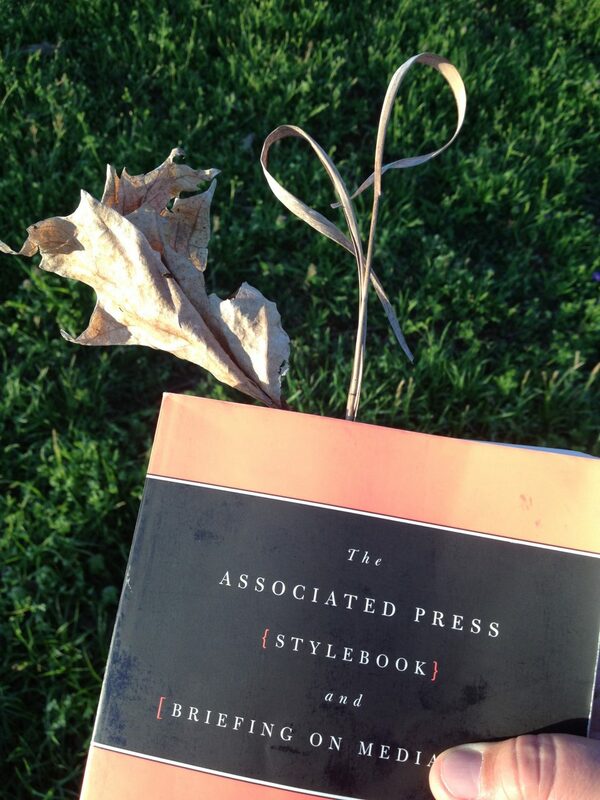 I use this out-of-date AP stylebook that would have been recycled to hold fragile leaves. 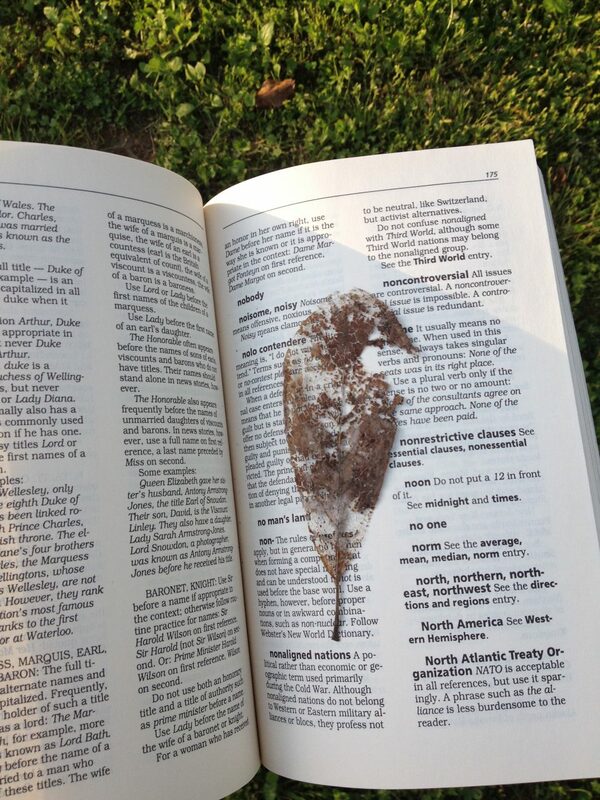 Delicate leaves, like this partially skeletal one I found on my nightly walk, are kept safe between the book’s pages, and at the same time, flattened. Once I’ve photographed the objects, I keep them between the pages of another big book for future use.